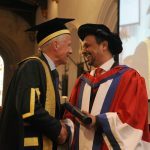 Remembering Srebrenica are delighted to announce that the organisation’s chairman and founder Dr Waqar Azmi OBE, has been awarded an Honorary Doctorate of Philosophy from the University of Bedfordshire. 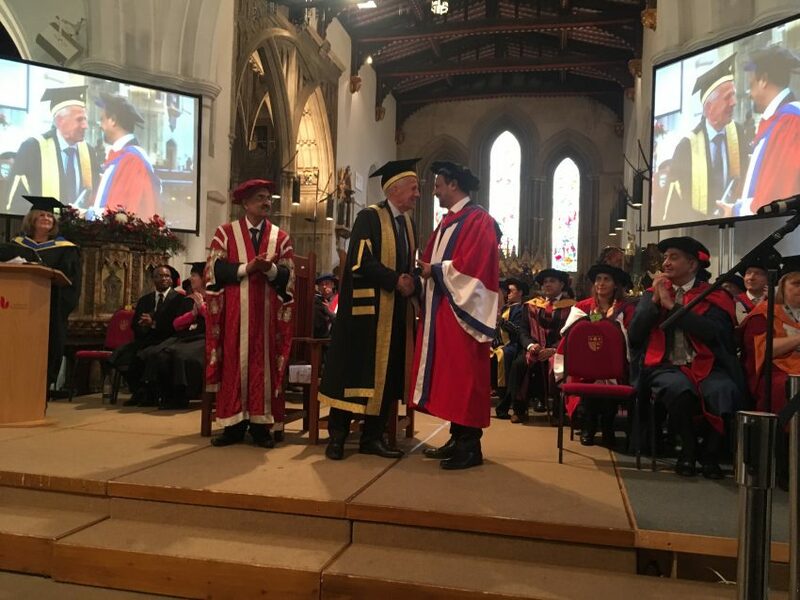 The Doctorate is in recognition of his services to the community and his hard work to improve cultural dialogue. 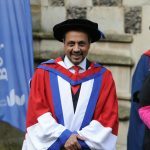 Remembering Srebrenica are delighted to announce that the organisation’s chairman and founder Dr Waqar Azmi OBE, has been awarded an Honorary Doctorate of Philosophy from the University of Bedfordshire. The Doctorate is in recognition of his services to the community and his hard work to improve cultural dialogue. The ceremony took place at the Luton campus on Wednesday 15th November and was a fantastic way to celebrate the achievements of individuals from all backgrounds and walks of life. Since Dr Azmi founded Remembering Srebrenica in 2013, the organisation has been the sole organiser of the UK’s national commemoration of the 1995 genocide. Through its educational outreach work over 60,000 young people have been reached about the consequences of hatred. Remembering Srebrenica has also brought together over 50,000 people each year in 1,000 acts of commemoration for the victims of the genocide, the worst atrocity to be committed on European soil since the Second World War. Working with the Mothers of Srebrenica and Survivor’s Associations, over 1,000 champions against hatred have been created who are running numerous projects in local communities to tackle hatred and intolerance. Remembering Srebrenica has led the way in commemorating and educating about the genocide, gaining support from high-profile figures such as Princess Anne, the Prime Minister, London Mayor Sadiq Khan and humanitarian Angelina Jolie. 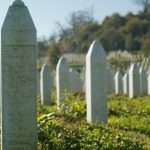 The UK is the only country in the EU that commemorates Srebrenica following the EU resolution calling on all states to mark 11th July as Srebrenica Memorial Day. Without Dr Azmi’s drive to establish Remembering Srebrenica as a national organisation, the UK would not have such a widespread understanding of this horrific event. 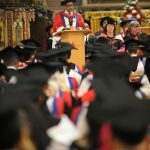 The University of Bedfordshire has been a key supporter of Remembering Srebrenica’s work, from hosting survivor events, running education panels and taking students on the organisation’s flagship ‘Lessons from Srebrenica’ visit programme. 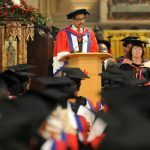 By honouring Dr Azmi in this way, the university is sending a clear message that hatred, prejudice and intolerance have no place in British society. 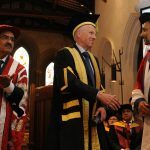 Remembering Srebrenica’s relationship with the University of Bedfordshire showcases what worthwhile achievements can be made when we work together to unite against hatred and bring communities together. 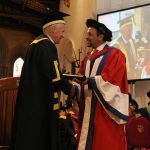 Everyone at Remembering Srebrenica would like to send our warmest congratulations to Dr Azmi.